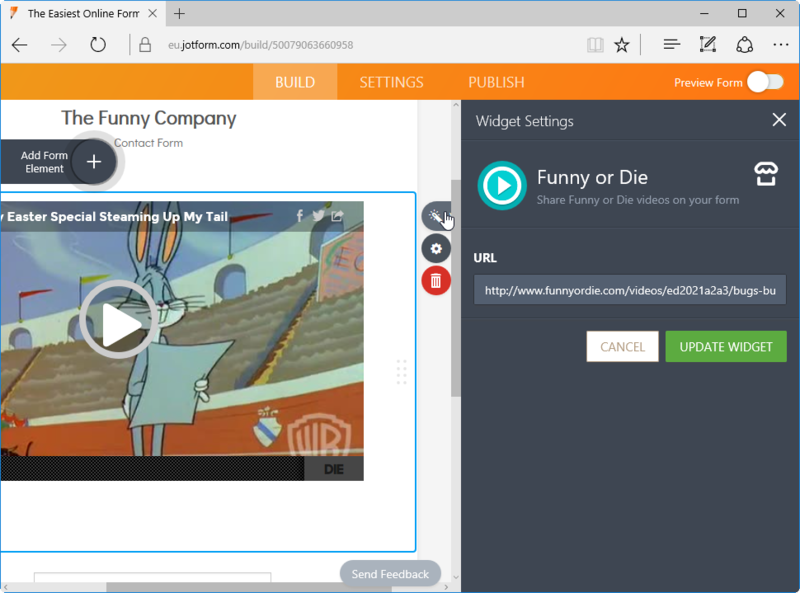 The Funny or Die widget allows you to embed Funny or Die videos onto your form. Funny or Die captures the most comedic and humerous moments across the internet, and you can harness the same capability for your form with this widget. 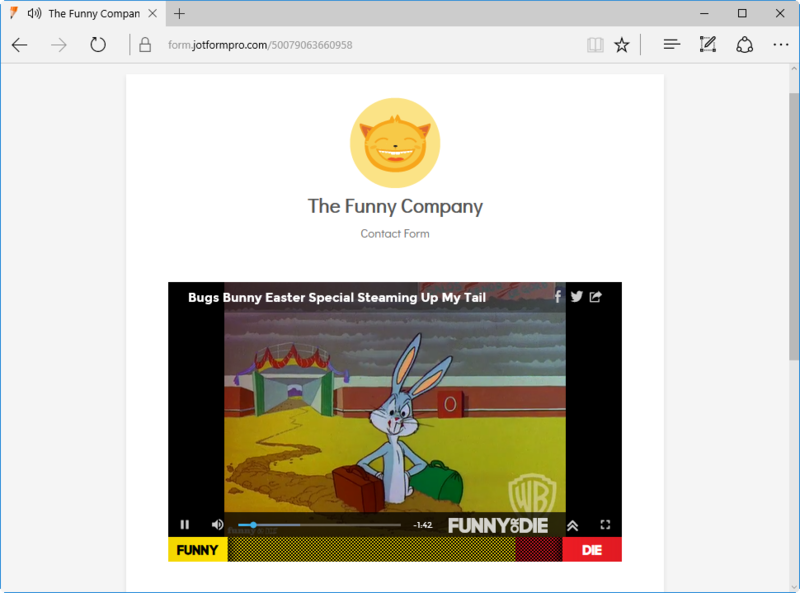 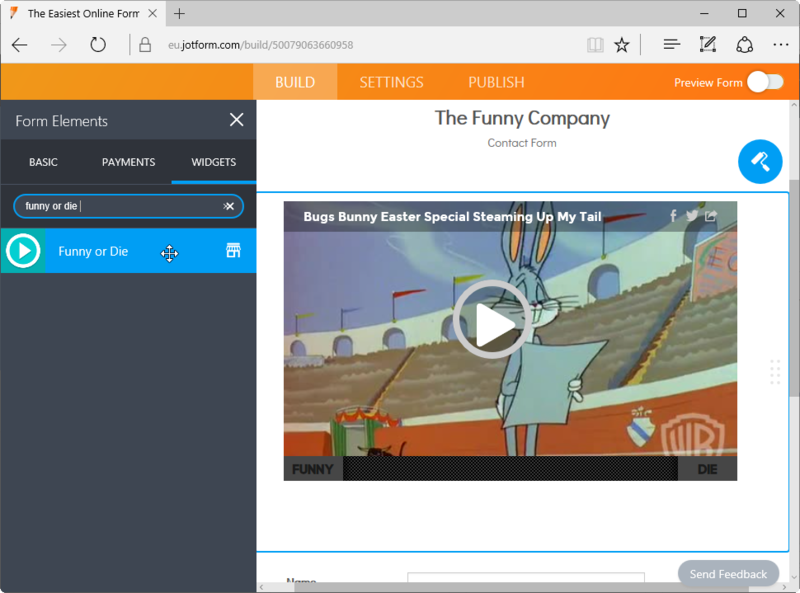 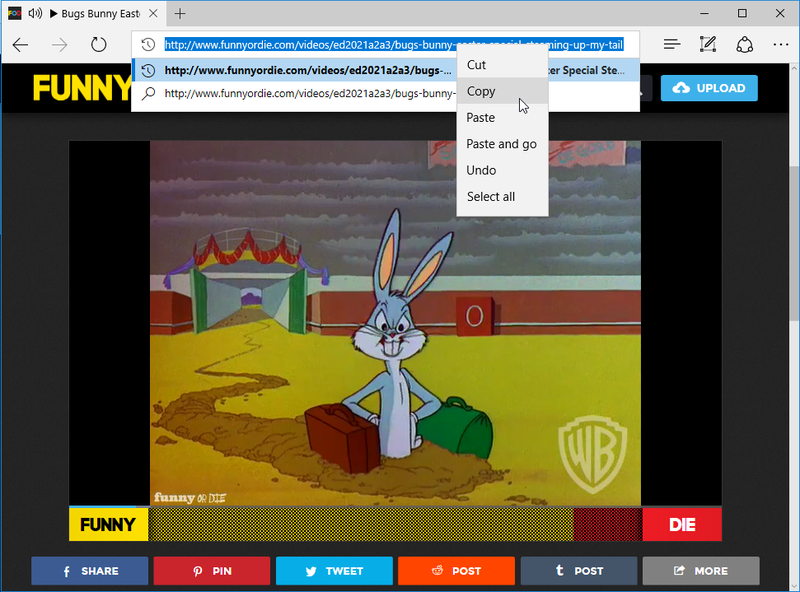 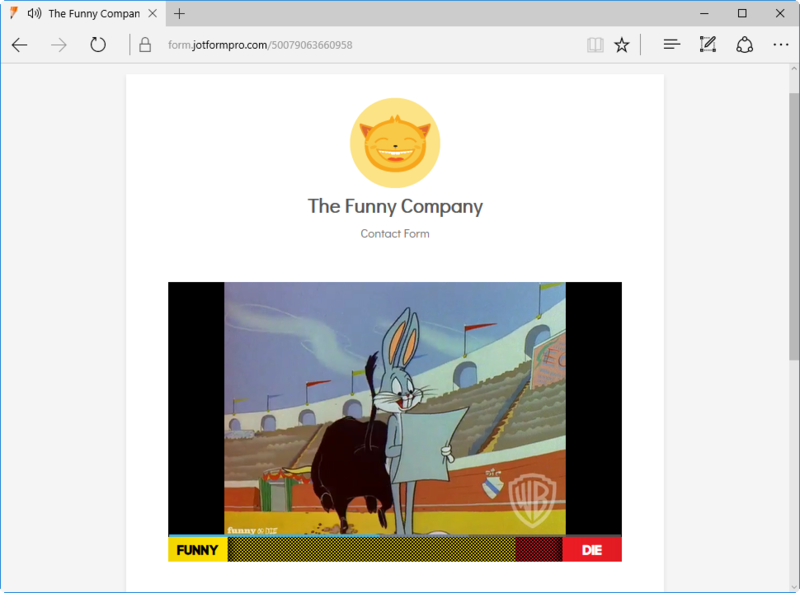 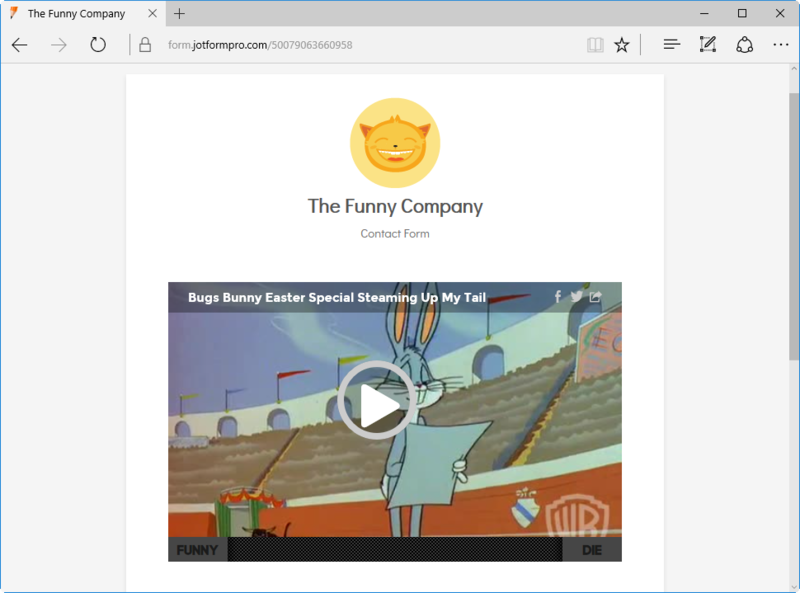 Simply copy the URL to your favorite Funny or Die video and paste it in the widget settings.